The Convair SM-65A was the first testbed for what became the Atlas missile. The test series began in 1957. It was developed into the Atlas A, which was the first full-scale prototype of the Atlas missile. 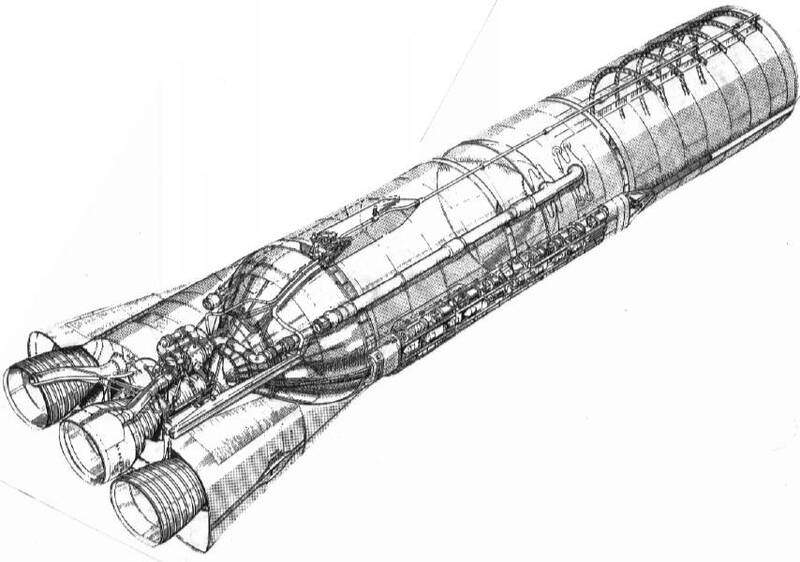 Unlike later versions of the Atlas missile, the Atlas A did not feature the stage and a half design. Instead, the booster engines were fixed in place, and the sustainer engine was omitted. 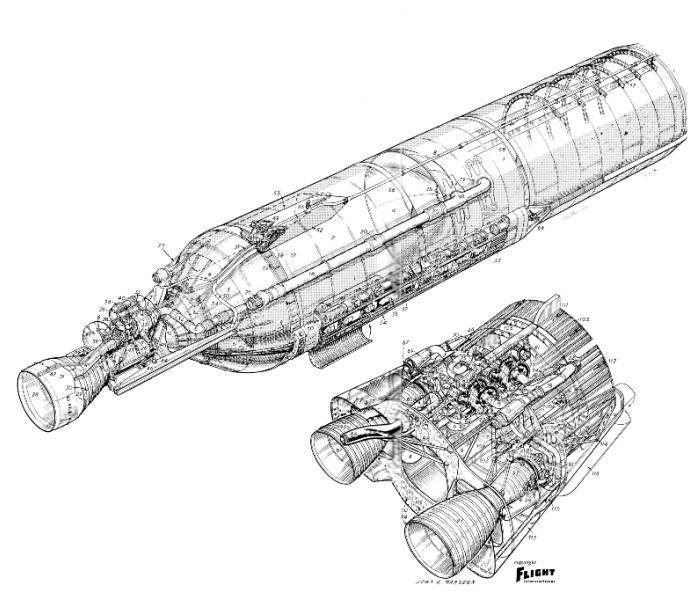 The Convair SM-65B was the second, more advanced testbed for the Atlas rocket program. It was designed with 3 engines, its predecessor the SM-65A used only one engine. It was powered by a 1.5 stage liquid-fuel rocket. Its first flight was in 1958. It was developed into the Atlas B which was a prototype of the Atlas missile. The Atlas B was the first version of the Atlas rocket to use the stage and a half design. 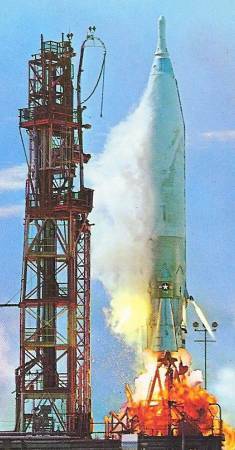 The seventh flight, launched on 18 December 1958, was used to place the SCORE satellite into low Earth orbit, the first orbital launch conducted by an Atlas rocket. The SM-65C or Atlas C, first flown in 1958, was the final development version of the Atlas rocket, prior to the operational Atlas D. It was originally planned to be used as the first stage of the Atlas-Able rocket, but following an explosion during a static test on 24 September 1959, this was abandoned in favour of the Atlas D.
The SM-65D or Atlas D, was the first operational version of the Atlas ICBM. It first flew on 14 April 1959. 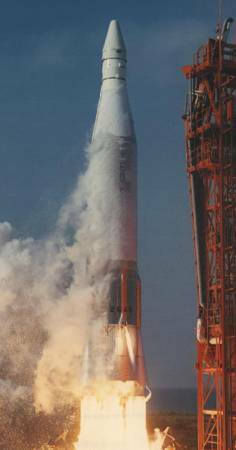 Most Atlas D launches were sub-orbital missile tests, however several were used for other missions, including orbital launches of manned Mercury, and unmanned OV1 spacecraft. Two were also used as sounding rockets, as part of Project FIRE. A number were also used with upper stages to launch satellites. 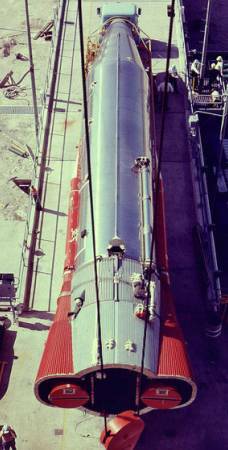 The SM-65E or Atlas-E, was a silo-based operational variant of the Atlas ICBM. The SM-65F or Atlas-F, was the final silo-based operational variant of the Atlas ICBM. Following retirement as an ICBM, the Atlas-F, along with the Atlas-E, was refurbished for orbital launches as the Atlas E/F. It was also used to launch the Block I series of GPS satellites from 1978 to 1985.